customise to one. Give each of your guides a JLT with their picture and name on them. 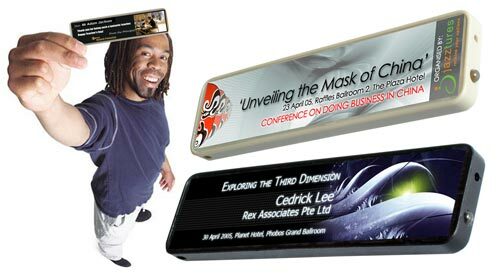 Artfully designed conference momento which leaves a professional yet hip impression on the event! Seminar attendees get their own customised laser torch pointer, complete with attendee and company name! Gifts should be customised as much as possible. Present your teaching staff with a thank you note for a memorable teachers day! Celebrate Teachers Day with the Jazztures lasertorch. Surprise and thank our dedicated teachers with this essential teaching tool. Build school camaraderie at the same time! Choose from either designs or simply create your own. Simply add with your school logo, picture (if any) and personalised message. * Additional personalisation fee of $1.00 applies. To place your order or get quotations, contact Jazztures at sales@jazztures.com now!